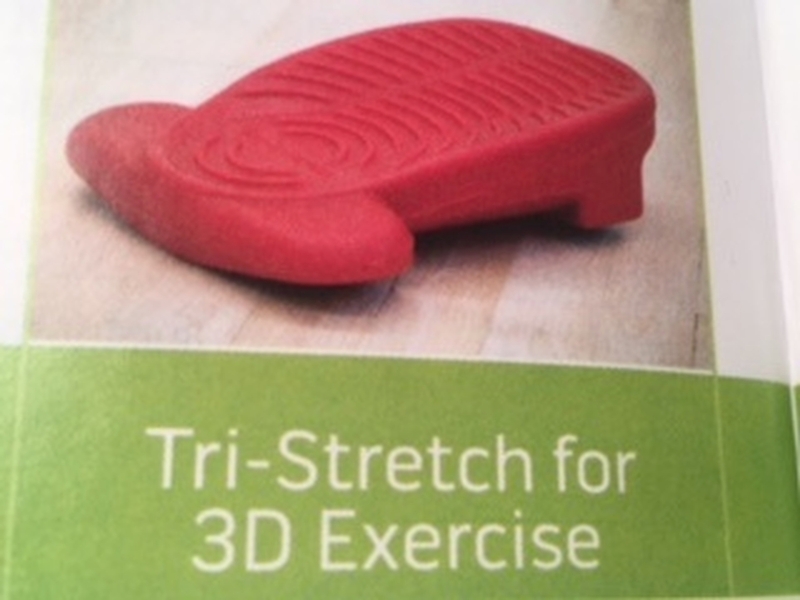 Improve running and walking performance: stretch in 3 dimensions ...not one! Decrease low back pain, plantar fascitis (heel pain) , achilles tendonitis and hip pain. Have you stretched and stretched and still feel like your leg muscles are tight? Have you ever used a stretching device and still feel stiff? 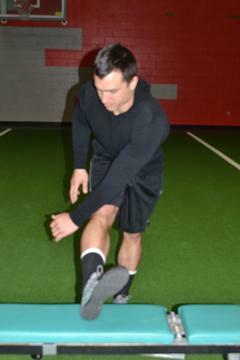 Single plane (direction) stretching does not achieve full lengthening of the muscle. Full lengthening of the muscle occurs when stretching is performed in all three places of motion (1-front to back; 2-side to side; 3-rotational) the risk of injury is reduced and muscle performance is improved. TRI-STRETCH® is the only portable stretching device that assists you to stretch in all three of these planes of motion. Through its multi-directional biomechanical design, TRI-STRETCH® allows interaction of the joints and lengthening of the muscles in all three planes of movement... replicating the exact manner in which they get stretched when you run, walk or exercise. TRI-STRETCH® is based on the science of movement. Human movement is a combination of three directions ....forward to backward.....side to side.....and rotational. When walking, running, swinging a golf club or blocking at the line: our joints move and our muscles lengthen in all three of these directions in various amounts. Therefore it only makes sense that we stretch and strengthen in all three of these directions as well. For instance.... a traditional wall calf stretch: stretches the calf in one direction: forward but does not stretch in the side to side or rotational directions. The calf though does get lengthened in these other two directions as the foot enters in to the ground as you take a step. When the heel hits the ground, it strikes on the outside of the heel and then tips inward (side to side motion) and the lower leg rotates inward (rotational motion). By using TRI-STRETCH® in the traditional calf stretching position, you can replicate the heel tilting and the lower leg rotating and therefore actually stretch the calf in all three directions of motion, replicating how it is stretched when you walk and run. Although TRI-STRETCH® can be used while performing traditional exercises to make them 3 D, it also has the unique features to assist in hundreds of new exercises which challenge the musculature to bring flexibility and strength to new levels. It has also been used very successfully in the rehab of many injuries from ankle sprains, to ACL tears and back pain. TRI-STRETCH® advantages include three dimensional training, training multiple joints simultaneously replicating the demands on them during sport, stretching and strengthening in the weight bearing foot on the ground position instead of foot off of the ground , seated position... again replicating how the muscles are used in sport.